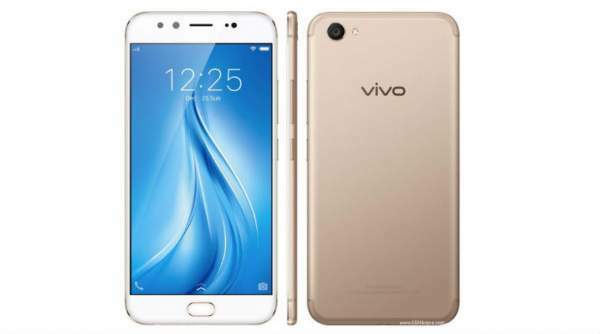 Vivo V5 Plus Price & Specifications: You might not hear of the Chinese smartphone company Vivo. But they are widely known for their front cameras. From the day, Vivo has entered the industry; they have their own place in the market for selfies. This Chinese company is all set to launch its new smartphone in the market. The smartphone is VIVO V5 PLUS. This smartphone is expected to deliver high performance in with its powerful processor. This smartphone is getting popularity due to its dual front camera. Vivo has experimented this new feature in their upcoming smartphone. The smartphone was officially confirmed by the company on Thursday. Vivo V5 Plus features a 5.5 inches full HD IPS LCD display with a great resolution of 1080 x 1920 pixels. The density of the screen is about 401 pixels per inch. The multi-touch display is protected by Corning Gorilla Glass 5 protection. V5 Plus Is powered by an octa-core Snapdragon 625 SoC coupled with 4 GB of RAM. There is an inbuilt storage of 64GB which can further be expanded up to 256GB using a microSD card. There is a battery back-up of 3160 mAh. This battery supports faster charging. The device runs on Android OS Marshmallow v6.0 with new Fun-touch OS 3.0. Now, the most prominent feature of the phone. There is a 16-megapixel rear camera along with LED flash. On the front, there is a dual-camera. The dual camera compromises of 20 megapixels and 8 megapixels which are capable enough to click picture similar to a DSLR. The camera uses Sony’s IMX376 1/2.78″ sensor. Vivo V5 Plus specifications in terms of connectivity are WiFi 802.11, Bluetooth 4.2, GPS, 4G LTE, and other standard options. The device also has a custom made AK-4376 dedicated HiFi audio chips which offer signal-to-noise ratio up to 115db. The device measures 153.8 x 75 x 7.6 mm and weighs about 158.6 gms. There is a fingerprint sensor embedded under the home button below the display. The device is a single color model. The only color available for this smartphone is Gold. This device is priced at MYR 1,799 in Malaysia. In Indian currency, the price of the smartphone is about Rs. 27,400. This smartphone was scheduled to launch on 23 January. But these are now available in Malaysia for pre-orders. 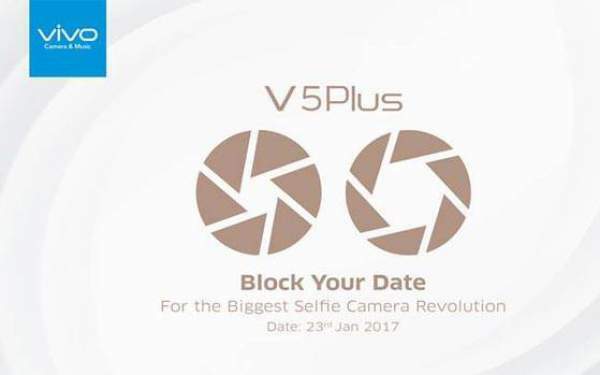 The company is planning to launch V5 Plus on Monday. An offline retailer in Mumbai, Mahesh Telecom is offering the smartphone at Rs 27,980 along with a VR box. This offer comes ahead of the phone’s official launch in India. As of now, the official Vivo V5 Plus price is known. It was officially launched by the company earlier this week. Hope a new and good device hit the market. Stay tuned to TheReportertimes for latest phone news and other tech updates around the world.